Ouzo can be consumed neat or mixed with water. Our Mediterranean favorite has stood the test of time. Try serving it over ice to ensure a genuine cloudy “Ouzo effect” when mixed with ice or a mixer. 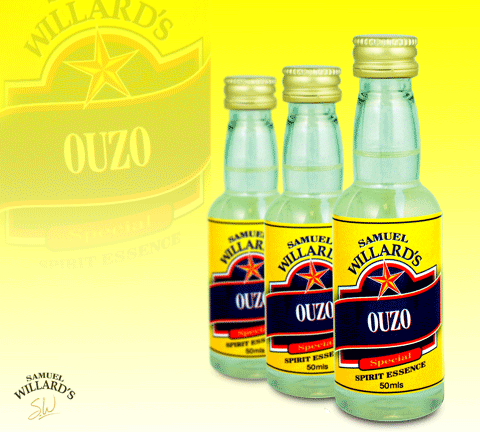 Samuel Willard’s Ouzo essence produces 2250mL of spirit from each 50mL bottle.